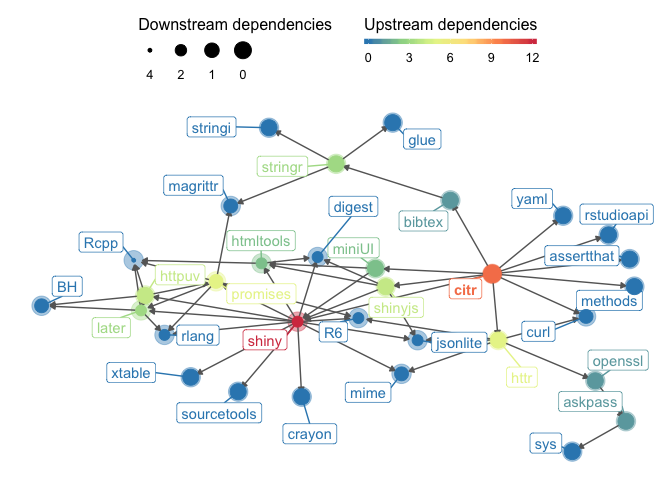 Functions and an 'RStudio' add-in that search a 'Bib(La)TeX'-file to create and insert formatted Markdown citations into the current document. 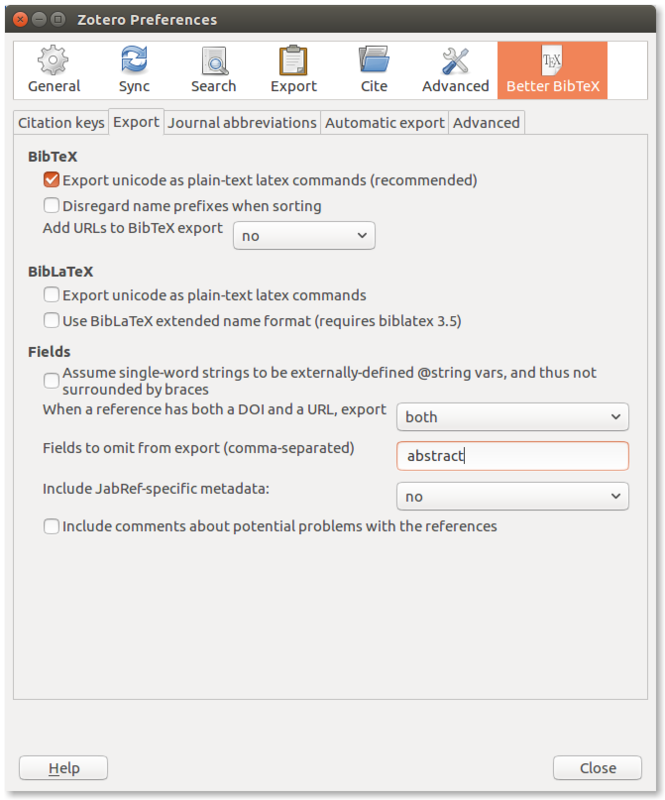 citr provides functions and an RStudio addin to search a BibTeX-file to create and insert formatted Markdown citations into the current document. Once citr is installed and you have restarted your R session, the addin appears in the menus. Alternatively, you can define a keyboard shortcut to call the addin. The addin will automatically look up the bibliography files specified in the YAML front matter. If the document does not contain a YAML front matter the addin will attempt to locate a parent document and look up the bibliography file specified therein. That is, the addin works its automagic even if you edit R Markdown documents that are included as children in another R Markdown document. The expected names of a parent document default to c("index.Rmd", "master.Rmd"), it thus works with bookdown out of the box, but can be customized (e.g., options(citr.parent_documents = "my_parent.Rmd")). The following call searches a bibliography file and creates formatted Markdown citations for the results. md_cite() searches the author, year, title, and journal fields of your references. If you are using Zotero citr can access your reference database directly. For this to work, you need to install the Better Bib(La)TeX extension. Once the extension is installed and your reference manager is running, citr can access all your references and keep your bibliography file updated by adding missing references. When you are done writing, your bibliography file is likely to contain some unneeded references, which you added while writing but removed during revisions. tidy_bib_file() removes unneeded (or duplicate) entries from your bibliography file. Once, the above error has occurred, it may be necessary to restart the R session. Otherwise reading any other file may fail with Error: lex fatal error: fatal flex scanner internal error--end of buffer missed. If you are interested in other handy addins take a look at this list. There you can find other useful addins, such as rcrossref or wordcountaddin. Zotero/Juris-M library can now be accessed directly via the Better Bib(La)TeX extension (https://github.com/retorquere/zotero-better-bibtex). The document's bibliography file is updated accordingly. See ?insert_citation.